In order to maintain a grip on market share by pushing U.S. shale producers out of the market, Saudi Arabia (and OPEC) is willing to use up its spare capacity. That could lead to a price spike. The enormous increase in production comes into a market that is still dealing with extraordinarily low prices. The move could be interpreted as a stepped up effort on behalf of Saudi Arabia to maintain market share at all costs. More output will prolong the slump in oil prices, which will force even more U.S. shale production out of the market. The signs of success are already showing – the U.S. is set to lose 57,000 barrels per day in production in May, and rig counts are still falling. OPEC’s actual levels of spare capacity are somewhat opaque, which makes estimates difficult. But Saudi Arabia producing at its highest level in three decades certainly eats into that reserve. 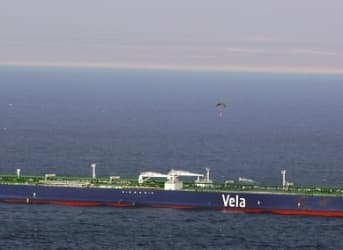 Moreover, Saudi Arabia typically consumes more oil in the summer for domestic purposes, which could further shrink spare capacity in the months ahead. PIRA Energy Group warned of such a scenario in its latest weekly oil report. 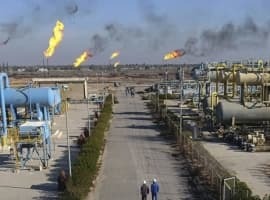 “Incremental Saudi crude burn demand could push its volume this summer to levels that would substantially reduce global spare capacity, at a time when oil markets will be tighter and geopolitical risks to supply are growing,” PIRA wrote on April 14. Spare capacity may shrink to just 1.7 million barrels per day. Saudi Arabia is succeeding in pushing out U.S. shale production, but in the meantime, the world is getting hooked on low prices. 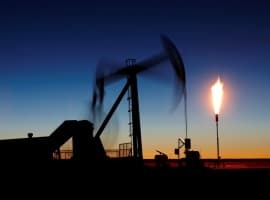 Oil demand is growing quickly – the IEA predicts global demand will jump from 92.66 million barrels per day in the second quarter up to 94.67 million barrels per day in the fourth quarter. There is an argument that U.S. shale has emerged as a sort of collective swing producer – shale operations ramp up and down much quicker than conventional drilling. But they don’t turn on and off that quickly. They can’t mimic the latent supply that the Saudi’s have in their back pocket. Furthermore, shale production is the result of drilling by hundreds of companies, and future investments and drilling will be made by private individuals based on individual financial circumstances, as opposed to state-level geostrategic calculations. In other words, shale producers, now that they are shrinking their footprints and production levels, will not be able to step up to the plate in a pinch. If global supplies shrink unexpectedly, and Saudi Arabia has run down its spare capacity to low levels, oil markets will tighten to a precarious point. Don't worry...it is not happening because of all the drilled and capped oil wells, short life cycle of shale drilling, and Iran. It may be true in the past, but we are in a different era now. Let's not forget that majority of the e and p companies have to sped more than their cash flow on the maintenance of new wells this very well means that, they will have excess debt they can pay off which is already happening and they will have to start selling off parts, and disposing wells since they can't afford to pay even the interest on the loans. 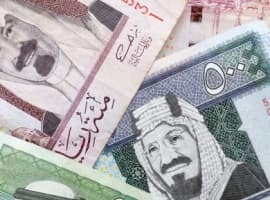 Also their is the possibility that if things get that desperate that the Saudis are felling the stress the might want to withdraw their loans and bond and shared from us corporations and the country it self, which could leave many E and p companies in a desperate position to sell their assets to avoid defaulting of the US government for its loans. Cause funny enough turns out the Saudi / emerati royal families have massive loans given to as well as bonds in many multi national us corporation, exon, Bg, petro canada, century 21, I just found out recently myself. I like to return to the basic fact that it takes 100 million years to form new oil. We are not getting new reserves soon.